In recent years, Philadelphia has been identified as a city struggling with a long-term drop in charitable giving. But the news is not all bad. The city’s giving scene has been in a period of transition with significant shifts in demographics, major players, and priorities. 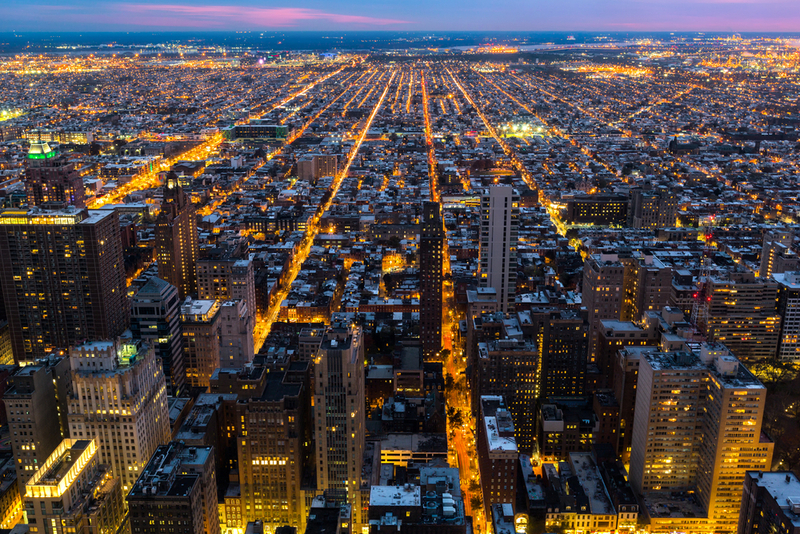 Several years ago, a report by Philanthropy Network Greater Philadelphia revealed that the city’s donors were getting younger, more diverse, and more socially tolerant. We've also reported on some notable newcomers to the giving scene. One local donor that everyone in the city should be familiar with by now is Mel Heifetz. He’s a big-time real estate investor, longtime gay rights activist, and he recently won the Philadelphia Award to honor his work in supporting LGBTQ causes in Philadelphia. Heifetz is a South Philadelphia native and really emerged onto the city’s scene last fall when he announced a $16 million gift to expand the GLBT Fund of America, which is a donor-advised fund at the Philadelphia Foundation. Heifetz established the fund back in 2007, and uses it to support social justice, civil rights, and health for the LGBTQ community. However, Heifetz's support for this community dates back well over 50 years, when Heifetz was in his 20s. He’s helped out pretty much every LGBTQ-assisting group in Philadelphia in one way or another over the years, including Attic Youth Center, GALAEI, the Trevor Project, Project HOME, and the William Way LGBT Center. While Heifetz is not one of the well-known national LGBTQ donors we often report on—like Tim Gill or Jon Stryker—he's another example of a stalwart philanthropist who's played a key role in this movement over the years. Regarding receiving the Philadelphia Award, Heifetz said, "Long ago, I made a pledge that I would give back if I ever became successful. I have spent my entire life working with my community—the gay community—to achieve the same equality that everyone else enjoys." While his widespread support for local LBGTQ projects is what earned Heifetz the Philadelphia Award, he’s also well known for his political and public policy contributions. No stranger to the spotlight, Heifetz was named the No. 1 political donor in Pennsylvania in 2012, largely because of his $1 million gift to a super PAC working to get Obama reelected. In past elections, Heifetz has also been a significant contributor to campaigns for candidates who support gay rights and who identify as LGBTQ themselves. Heifetz isn’t the only philanthropist making waves on the giving scene in Philadelphia these days. Hallee and David Adelman are a Philadelphia power couple dedicated to education and children. David Adelman is the president and CEO of Campus Apartments, and has a strong Jewish background and a love for the city, while Hallee has taught elementary through university students and now writes children’s books. Another Philadelphia couple, Liz and Jay Scott, became the largest private funders of pediatric cancer research in the U.S., thanks to millions of dollars poured into their Lemonade Stand Foundation. A pair of Philadelphia siblings, Molly Rouse Terlevich and Tanner Rouse, are carrying on their father’s legacy of giving through the Rouse Family Charitable Trust. While this Plymouth Meeting, Pennsylvania-based foundation has yet to create a website or provide guidelines for grantseekers, it supports education, arts, and animal conservation in the Greater Philadelphia area. All of these local givers are sticking to the issues that are near and dear to their hearts. As we look to the future, these are some of the donors we’ll be watching more closely to see how their giving develops, along with Philly's philanthropy scene more broadly.